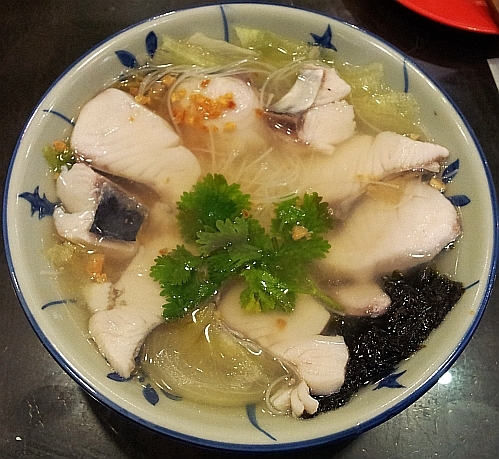 Mackerel fish slices with vermicelli (mee hoon) in clear broth at MYR17 nett. Light and tasty with a generous portion of fish slices. I counted at least 7 sizeable slices. I must remember to order hor fun instead of mee hoon next time because this mee hoon is not as soft as I wanted it to be. 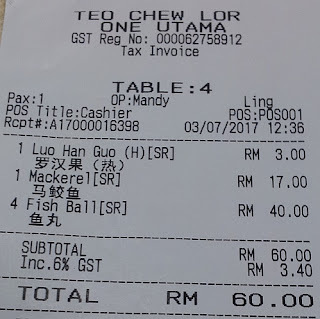 My 4 friends all ordered the Fish Ball noodles at MYR10 nett. After my lunch, I went to buy Old Chang Kee Curry Puff with its "Buy 5 get 1 free" offer at MYR12 nett but I did not check the number of puffs in the paper bag when the cashier handed me the bag so when I reached home, I found out that there were only 5 curry puffs in the bag when it should be 6. Lesson learnt. 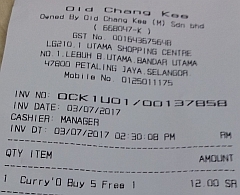 Always remember to check the food and the bill on the spot. I'd love that! I wish they would be the same and are as generous here, I would not mind paying more. Here, they just use the cheap frozen fish fillet, dory - no, thank you. I also avoid dory fish. Very generous with the fish slices! Looks good. I love curry puffs! I hope the number of slices will stay the same and not drop. Aish what a waste of that curry puff. must remember to check next time. I agree with you on the fteshest point.